Rubber bands can be so helpful. 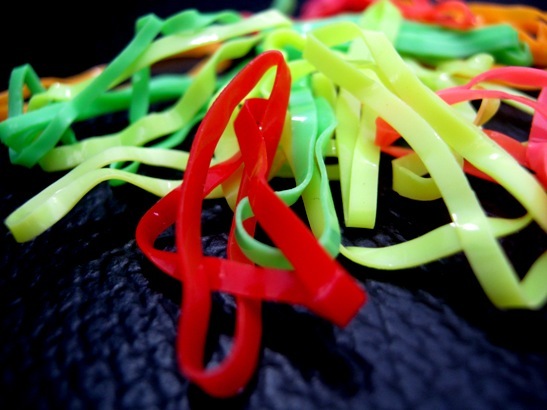 These colorful ones aren’t elastic enough; it’s only suitable for tying the hair. I can’t find the elastic rubber hands in a variety of colors here. I give my rubber bands to a neighbour who rolls them up into huge balls. I just bought a small box the other day. :) Happy RT2. I first thought what a funny pasta, lol ! Nice picture !